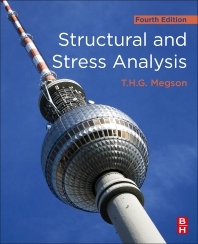 Structural and Stress Analysis, Fourth Edition, provides readers with a comprehensive introduction to all types of structural and stress analysis. Starting with an explanation of the basic principles of statics, the book then covers normal and shear force, bending moments, and torsion. Building on the success of prior editions, this update features new material on structural dynamics and fatigue, along with additional discussions of Eurocode compliance in the design of beams. With worked examples, practice problems, and extensive illustrations, it is an all-in-one resource for students and professionals interested in learning structural analysis. Introduces content on statics to ensure that students know the basic concepts and can understand the equilibrium principles that govern all structures as well as the principles of the mechanisms involved in computer-based calculations. (US) Professionals looking for a review of structural analysis and stress concepts.